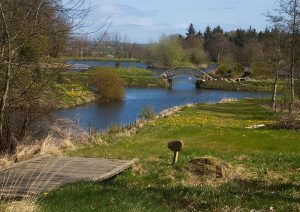 Burgie Estate was in the ownership of the Dunbar Family from the mid 16th Century until 1908.
who bought it two years previously. The Estate consisted of several thousands of acres but now consists of just over 1000 acres. The Arboretum was started in the 70’s; but due to several factors was not progressed until 2008. Now the Arboretum has been split into zones and it is the intention to try and produce colour all through the year as opposed to just Spring and Autumn. Work is in progress but with limited resources and labour, progress is slow. Most of the plants are grown from seed collected by the owner. 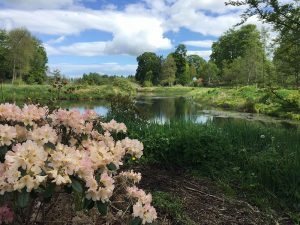 A rare opportunity to see a sizable woodland garden and arboretum in its infancy, with a good collection of Rhododendrons, Sorbus, Alder, Birch and Tilia as well as a variety of more unusual trees from around the world. 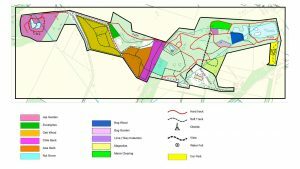 The 12 different zones based on geographic areas and species type; these zones include a Japanese garden, bog garden, bog wood, loch and the quarry garden. The car park is situated 1/2 a mile off the main A96 up the Burgie Mains drive. It is sign posted next to Morven View, just before the Lodge gates. 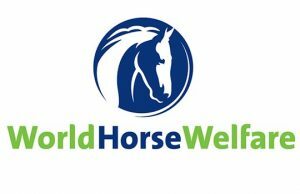 We have an honesty box, raising money for two very worthwhile charities; The Sandpiper Trust and World Horse Welfare, Scotland. Suggested donation £3.